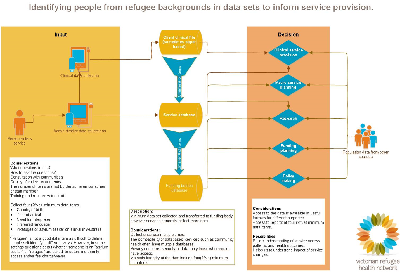 Identifying people from refugee backgrounds (including asylum seekers) in data sets in Victoria is vital to understanding health outcomes and service usage patterns of these individuals and communities. Identification also enables services providers, planners and funders to measure the impact of service changes on this sub-group. identifying improvements in data systems to assist with surveillance of issues.